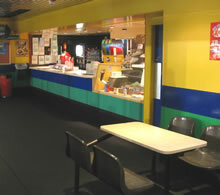 The cafe is an ideal place to have a break. We have a variety of hot and cold food for sale in a warm environment. You haven't got your own skates? Why don't you hire ours from Skate Hire. 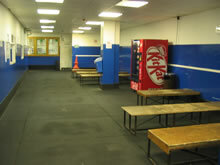 For 50p you can hand items to our Skate Hire staff who will put them in a locker. If you have anything of high value please ask the Box Office for further guidance.